बृहन्मुंबई महानगर पालिका – The MCGM BMC Group D results for the year 2018 have been finally published. MCGM result can be easily accessed from the official website of Brihanmumbai Municipality Corporation, or also called as Brihanmumbai Mahanagar Palika in Maharashtra. The exam for MCGM BMC Recruitment 2018 was held as on 15th February 2018 to 25th February 2018. 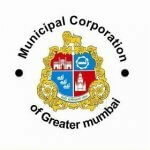 Apart from this, just so you know – MCGM stands for Municipal Corporation of Greater Mumbai. The MCGM BMC Cutoff Marks and Merit list for the examination held in 2018 is published down this website. The exam was for various posts such as Hamal, Room Attendant, Aayah, Worker, Labour, Multipurpose Hand, Crematorium workers. बृहन्मुंबई महानगरपालिकेतील एकुण १३८८ कामगार भरतीचा निकाल निवड यादी ऑनलाइन जाहीर झाली आहे. Please note that the Final Selection List for MCGM Labour Recruitment has been Published. ऑनलाइन BMC रिझर्ल्ट पाहा एका क्लिकवर खालील दीलेल्या How to Check Result सेक्शन वर जा! Please go to the “How to Check Result” section given below to check your marks obtained and the MCGM final merit list. Hit on that link to open it. Once done, the MCGM BMC Results 2018 will appear on your screen. The result for BMC Room Attendant Labour Results 2018 will appear. You can now save or print for future reference. Note: Candidates are urged to be present at the allotted dept. on the day of joining. The qualification to apply for this recruitment was 10th pass with Marathi as a subject from any recognised University / Board. There were over 1388 positions and the pay scale offered was Rs. 5,200-20,200 + Rs. 1,800 as a grade pay. The individuals who wanted to apply for these positions were aspiring to work with BMC. As it was from the most renowned Government section – there were enormous number of applications who crossed all the eligibility criteria and then took charge of the examination. Fortunately, the BMC recruitment results are out now by taking no longer time – which gave an end to the most awaiting day for the applicants who aimed to the most happening recruitment by बृहन्मुंबई महानगर पालिका. The best part about this recruitment was that, any aspirant who had scored minimum cut off marks in the MCGM BMC Group D written exam will be also recruited among the positions they were hiring. Before BMC Labour, Hamal & Room Attendant results shall be posted by MCGM, the committee announces Group D Selected Candidates who can directly opt for further rounds in the recruitment procedure. If your name appears in this Qualified Candidate List or also called as Merit List – be prepared for the best! What are the factors of BMC MCGM Cut off Marks 2018? One of the important factors is that how many participants might have given the BMC MCGM exam for the year 2018. As mentioned earlier, there were high probabilities of attempts for this recruitment as the Brihanmumbai Municipality Corporation has been among the best Government bodies. How to download MCGM BMC Cut off Marks and Merit List 2018 @mcgm.gov.in ? Once done, the homepage of MCGM will appear on the screen. There will be a section for ‘New Messages’ on your right-hand side of the screen. In to the ‘New Messages’ section – kindly look for ‘Cut off for recruitment of labours in Municipal Corporation of Greater Mumbai’. Please hit the link as mentioned above. Once done, an open PDF file will appear on the screen. Please click on ‘download’ option so that the PDF can be downloaded on your device. You can also print if you wish by selecting the ‘print’ option. You can now finally have the access to the MCGM BMC Cut off marks for the exam held in 2018. Please subscribe us by entering your e-mail address as well as bookmark Govtjobindia.com to get the latest updates on BMC Recruitment 2018 . And this can help you aim to the best Government job opportunity you have been looking for! We don’t seen any MCGM BMC Cut off Marks and Merit List 2018 on mcgm.gov.in. Please guide or mail or SMS. Sir i dont know my registration no but i know my exam no can i check my final result. Pls how i check my result? mcgm final result list link pathva plz…. Aaj nakki Final list declared honar ka? Result is expected to be declared by BMC Authorities between 29-Oct-2018 to 30-Oct-2018. For all the latest updates about the Final Selection Procedure Time Table, please go to the “Latest News” section of this page. Mala result bhetla aahe pn cut off list pahaychi aahe, mi mcgm chya side vr new message madhe check kel pn nahi bhetat aahe, plz help kara sir…..
hello tumhi result kasa bhetala mala pan sanga kuthe list aahe result chi? Result means marks list….which we got our registered email id…please check ur email to see how much score u got. 15 SEP PARYANT UPLOAD HOIL. सर मेरिट लिस्ट कधी लागेल. Any update regarding BMC Group D result? sc महिला कोटा किती मार्क्स वर cutt off आहे रिप्लाइ pls . माझा रिजल्ट माझ्या E-mail वर आलाच नाही, तर मला रिजन्ट बघण्यासाठी काय करावं लागेल ? Final merit list kdhi lagnar..n lagnar aahe ki nahi..?? I have 82 marks in BMC exam. what will be the merit list for ST Category as general candidate. How to check mcgm exam result. As result has not been sent yet on my mail and also it is not showing on mcgm site(mcgm.gov.in). Guyzzz Result Date has not been fixed. Please Wait some Days…. Sir Result For D Group MCGM Date Why Are. Result Date has not been fixed. Please Wait some Days…. IF RESULT SEND VIA EMAIL THAN I CANT RECIVED MAIL PLZ HELP ME TO KNOW MY RESULT . सर उत्तरपत्रिकासंबंधी आक्षेप घ्यायचा असेल तर तो संबंधित संकेतस्थळावर स्विकारला जात नाही. how to chek mcgm exam result ? Sir how to chek Mcgm exam result ? how to search result on portal of mcgm. pls help me. on portal as per your discussion there is no new messages on right side. कृपया सर , निकालाची निश्चित तारीख सांगा. निकाल कधीच लागला भावा.. तुझा रजिस्टर ईमेल चेक कर लिंक आली आसेल ती ओपन कर आणि बघ किती मार्क्स भेटले..
Dear sir maza mcgm exam result cha email nahi aala sir plz help mi ..